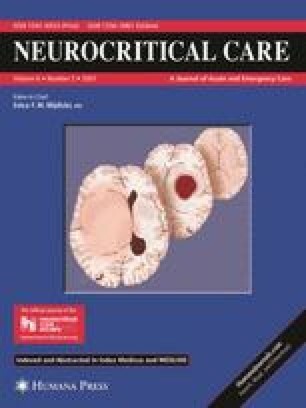 Raised intracranial pressure (ICP) has been consistently associated with poor neurological outcome. Our purpose was to systematically review the literature to estimate the association between ICP values and patterns and short- and long-term vital and neurological outcome. Systematic review of studies identified from MEDLINE, EMBASE, and COCHRANE Registry search from 1966 to 2005, and reference lists of identified articles, with independent assessment of methodological quality, population, ICP values and patterns, management of raised ICP and neurological outcomes. Summary odds ratios (OR) were calculated for the main outcomes using proportional odds models and logistic regression. Four prospective studies (409 patients) reported the effect of ICP values, and five studies (677 patients) reported the effect of ICP patterns on neurological outcome. No study reported neurological outcomes beyond 1 year. Relative to normal ICP (<20 mmHg), raised ICP was associated with elevated OR of death: 3.5 [95%CI: 1.7, 7.3] for ICP 20–40, and 6.9 [95%CI: 3.9, 12.4] for ICP >40. Raised but reducible ICP was associated with a 3–4-fold increase in the OR of death or poor neurological outcome. Refractory ICP pattern was associated with a dramatic increase in the relative risk of death (OR 114.3 [95%CI: 40.5, 322.3]). Refractory ICP and response to treatment of raised ICP could be better predictors of neurological outcome than absolute ICP values. Limitations in the design of the studies analyzed precluded identification of the role of ICP monitoring in predicting short- and long-term outcomes.